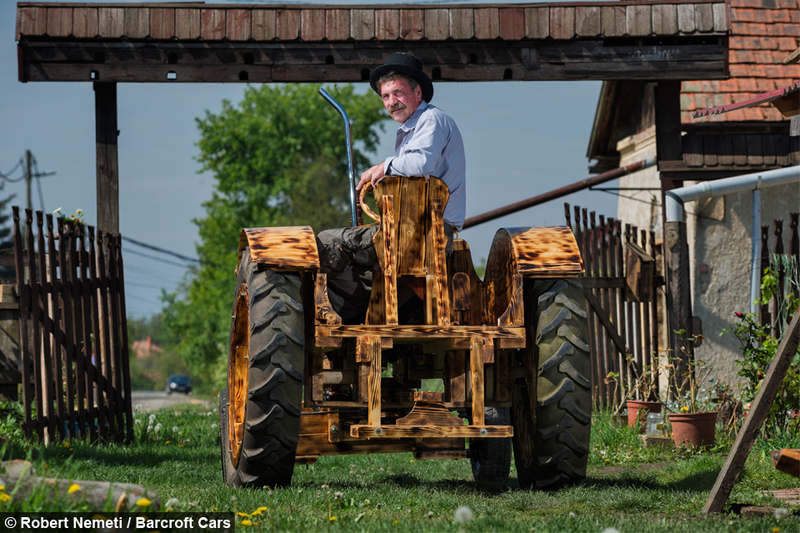 Istvan Puskás used his training as a master carpenter to build the functional wooden tractor complete with 150cc engine and a four speed gearbox. 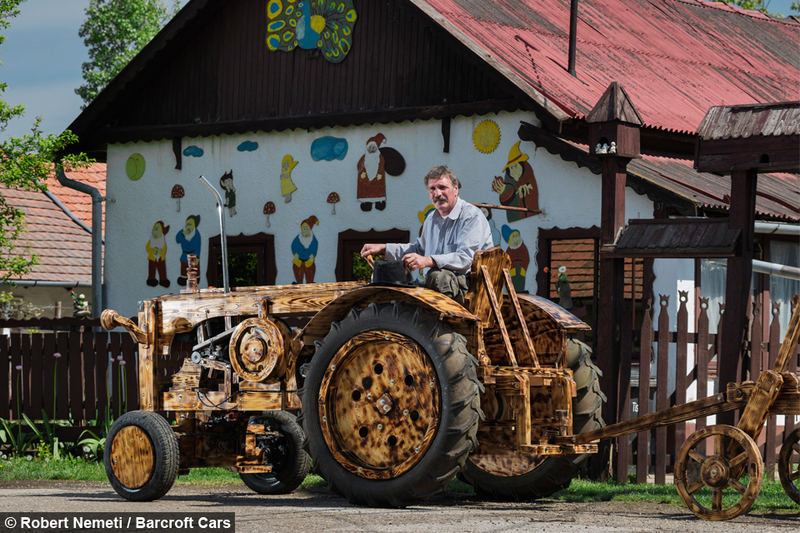 The 53-year-old, from Tiszaörs, Hungary, then fitted his 300kg pine masterpiece with real tractor tyres. 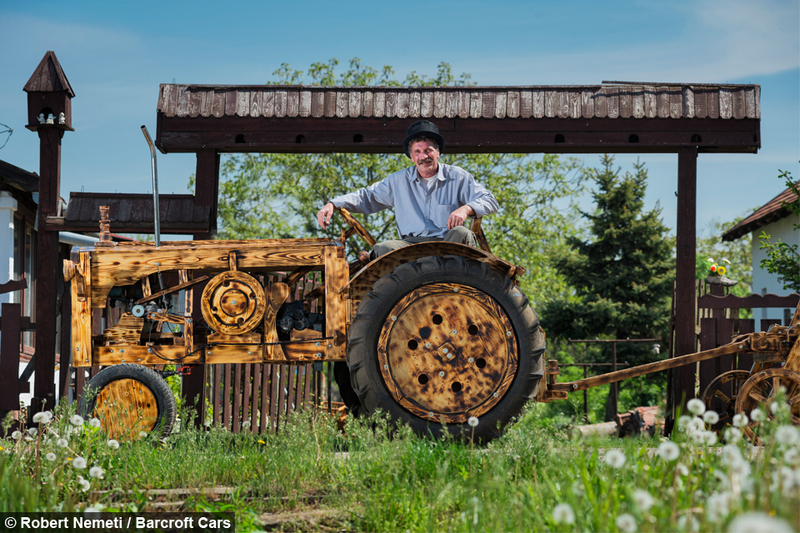 Istvan has been crafting wooden vehicles for the past decade – including three pushbikes, a two and a three wheeled motorbike, and even a wooden car. But the tractor was his biggest challenge yet. He said: "I am very pleased with it but I have to say it was very difficult to create the wheels and the whole lot. "It does not go fast - but it was never made for that purpose. 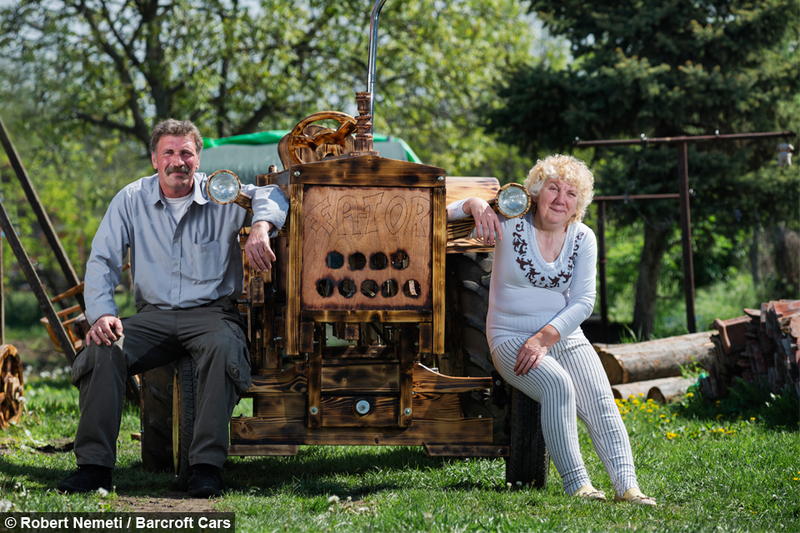 "It was only made as a hobby so that we could have a wooden tractor too." 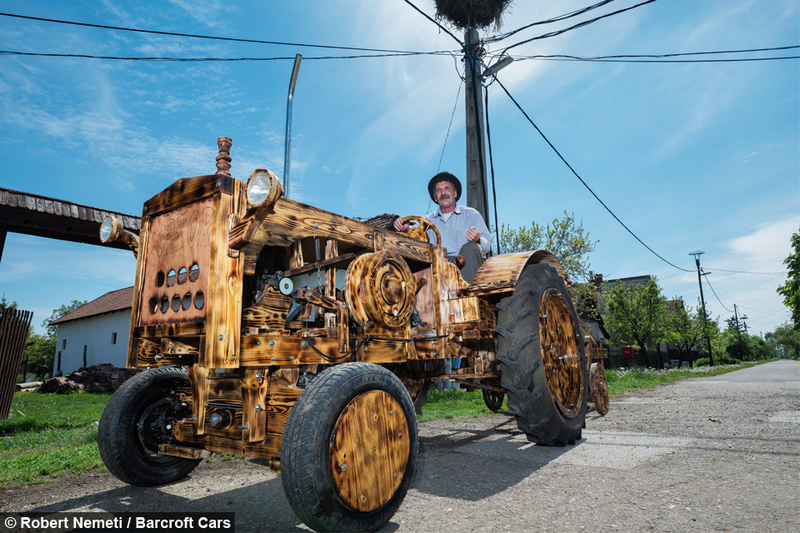 Istvan began work on the 'Fa-tor’, Hungarian for Wood-tor last August and spent eight months on the build. And he wasn’t short of help, getting inspiration from friends and family. "He did most of the work on his own, I only helped him with the lacquering and coating. 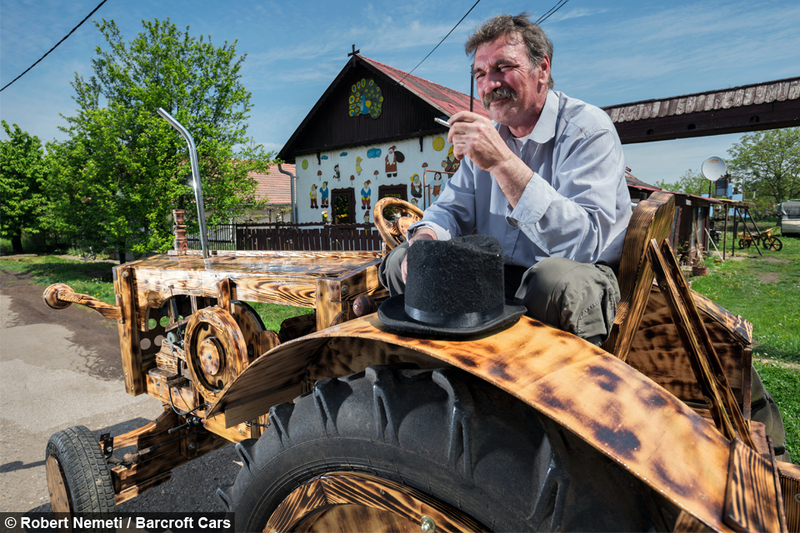 The tractor was unveiled on May 1 at the local football ground in Tiszaőrs. 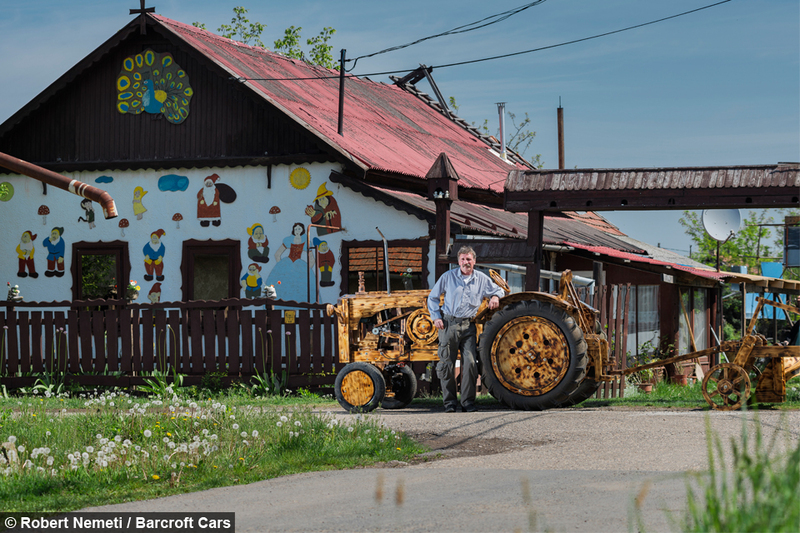 Istvan said: "The locals checked it out and everyone was really happy about it - even the Hungarian Agricultural Minster took a good look at it." 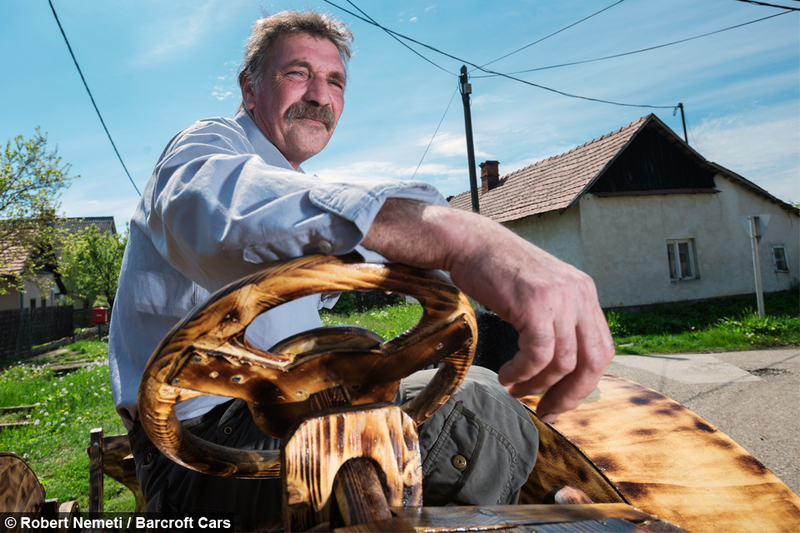 And now Istvan is already motoring ahead with plans for his next project.